Summer can be so busy and hectic! It feels like I blink and the kids are back in school. With five kids, we always have so many things going on. Sometimes it’s hard to just relax and enjoy the moment. 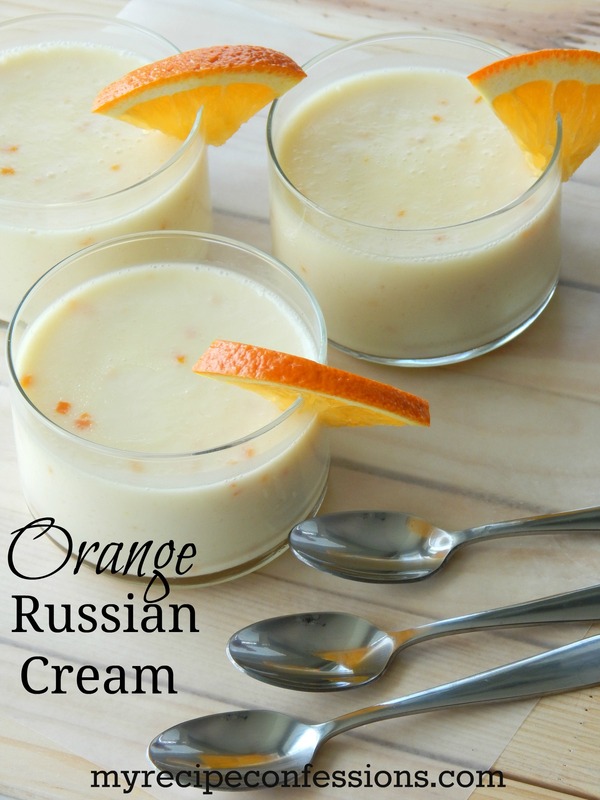 When life seems to be getting away from you, sometimes the best thing to do is to stop and relax by putting your feet up and enjoying some Orange Russian Cream! 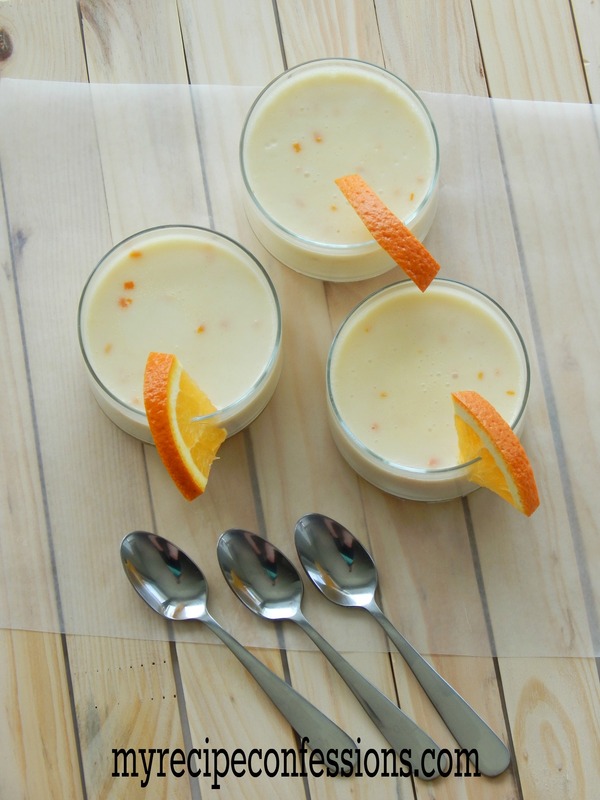 Orange Russian Cream is a combination between heaven and a sunny summer day. The cream is so light and smooth and the juicy zing from the orange juice and zest makes it so you can’t help but smile as you eat it. 1. In a small saucepan, mix the sugar and unflavored gelatin together. Add the orange juice and orange zest and stir until well combined. Let sit for 5 minutes. 2. Bring the sugar mixture to a rolling boil and remove from heat. Add the heavy whipping cream to the sugar mixture. 3. In a medium bowl, mix the sour cream and orange extract together. Stir the sugar mixture into the sour cream mixture until well combined. Pour the cream into 4 small glass bowls or goblets and place them in the refrigerator to set up for 4 hours. Serve with a slice of orange on the side. You will love it! It is smooth, creamy and delicious!